My name is Joanne Lewa, and I am from Kenya. Six months ago, I came to Afghanistan on a temporary work assignment with USAID to assist in the Agency’s outreach to the Afghan public. Before arriving, much of what I had seen in the news about the country was negative. 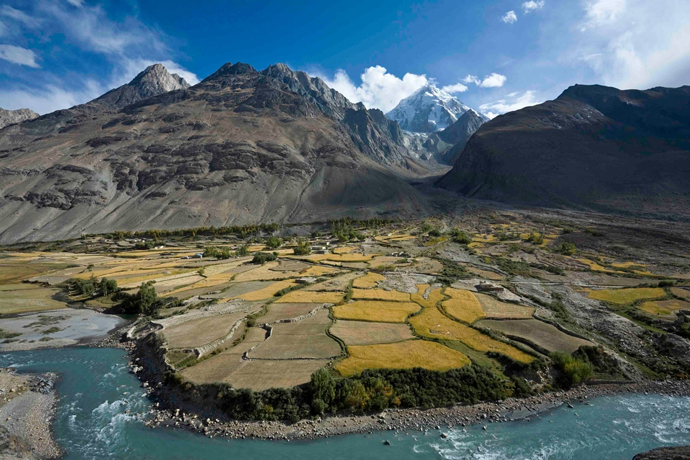 But the Afghanistan from the news was not the one I experienced during my six-month tour; I found Afghanistan to be a country of breathtaking landscapes and kind people who are embracing positive change and helping their country grow. My time in Kabul has helped me understand the expansive scope of USAID’s work in Afghanistan—from education, health, democracy and governance, to economic growth, agriculture and women’s empowerment. But when I step on my Kenya-bound flight this week, the memories of the Afghan women and girls I met will endure—against tremendous odds, they are becoming influential, decisive actors in their country’s development. I think of my two daughters and hope that they will follow in the footsteps of my brave Afghan sisters. Their achievements and the support they receive from their brothers, sons, fathers and husbands have left the greatest impression on me. I was particularly interested in how USAID is working to solve a fundamental barrier to girls’ access to education: a lack of school buildings near many villages. 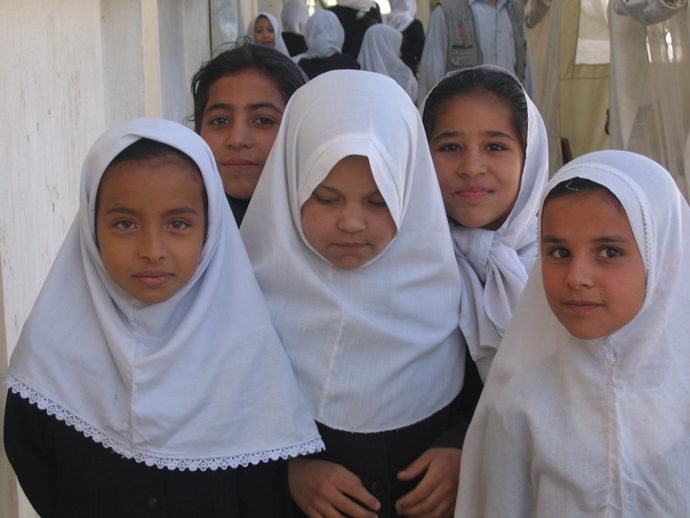 To prevent girls from having to travel precariously long distances to reach the nearest schoolhouse, USAID’s community-based education programs provide a way for Afghan students to attend classes near their homes. USAID has supported the Ministry of Education’s efforts to build thousands of new schools and has also distributed millions of textbooks, trained thousands of teachers—many of them female—and carved out new opportunities for higher education. Friba Hashimi is living proof of this drastic transition. I met Friba when I recorded the names of the women who attended a USAID-sponsored midwifery training. 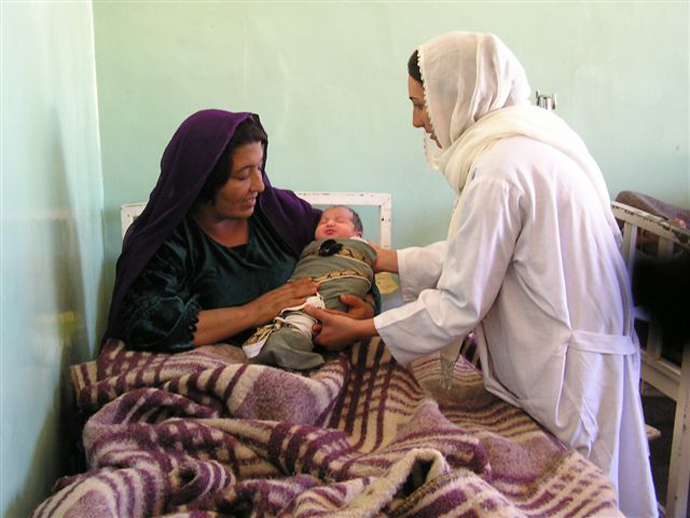 Once confined by the conservative views of her village, she is now a pillar of her community, helping to deliver a new generation of Afghans into the world. 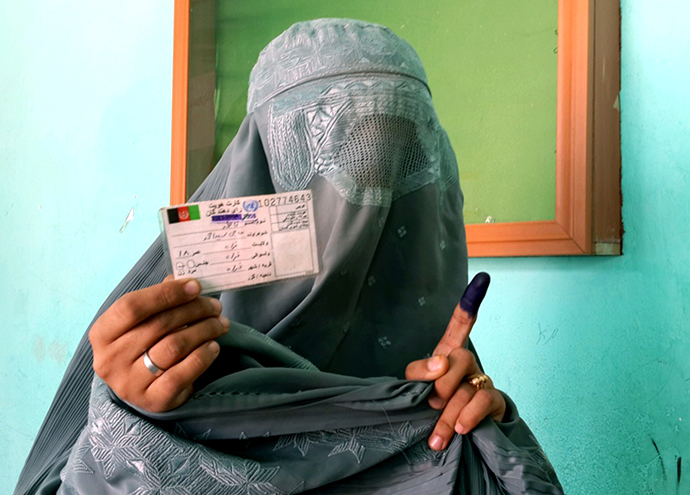 I landed in Kabul in the midst of one of the most exciting and important events in Afghanistan’s recent history: the 2014 elections. As I was settling in, women were playing a game-changing role in the election process. Voter participation reached a record high for both men and women. Women also served as election observers, ran for public office and were victorious on the campaign trail. Over the course of my assignment, I saw more and more women getting involved in the leadership of their nation. Women made up 21 percent of winners from the 2014 Provincial Council Elections, 11 percent of judiciary seats, and 20 percent of judges in training. While in Kabul, I also had the chance to speak with many Afghan women who have become business owners, workers and entrepreneurs. 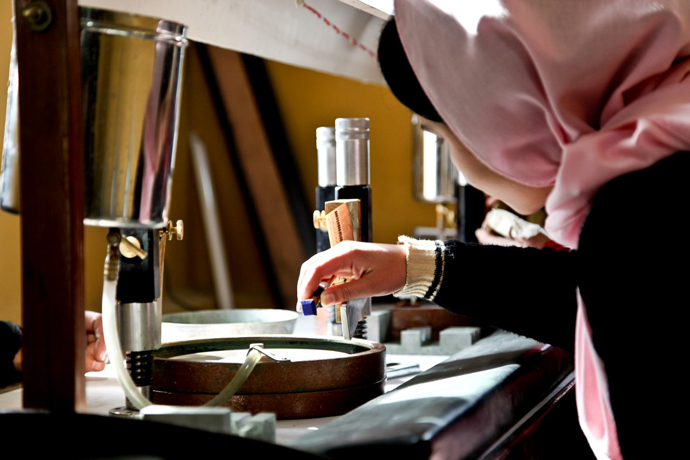 In response to the growing demand for the skills needed to participate in the increasingly advanced job market, USAID has provided job training for thousands of women and helped thousands more to find rewarding jobs. In Kenya, women’s contributions in the workplace have greatly improved the economy, and I have faith that USAID’s programs will continue to help women to do the same in Afghanistan. 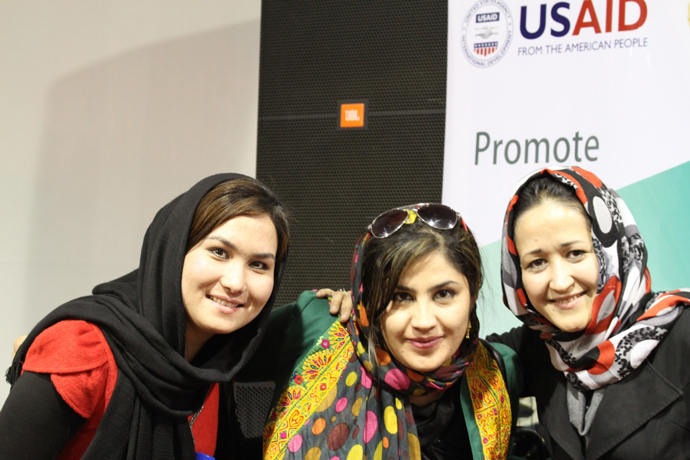 In November 2014, I was in Kabul when first lady Rula Ghani spoke at the launch of Promote, the largest women’s empowerment program in USAID’s history. Promote will serve as the missing stepping stone between education and careers for thousands of Afghan women driven to serve as political, civil society and private sector leaders. These women will be pioneers for the rights of Afghan women and girls in every sector of society. At the launch, I met inspiring Afghan women who are already making an impact on their communities. They all shared the same refrain: “Afghanistan cannot fly with just one wing.” For the country to prosper, women must be empowered to play decisive roles in Afghanistan’s government, civil society and economy. Lately, I’ve been taking stock of the moments that will stay with me from my tour in Afghanistan. The first snow in Kabul and the taste of Afghan bread and rice will long endure in my memory. However, the warm welcome I received from the dedicated team of Americans and Afghans will be unforgettable. These men and women are committed to one mission: improving the lives of all Afghans day by day, textbook by textbook, job by job, life by life. For those who come to Afghanistan after me, I promise you a once-in-a-lifetime experience. This is a great nation filled with amazing people who are working tirelessly to rebuild their country. Joanne Lewa is a Public Outreach Officer for USAID’s mission in Kenya. She just returned from a six-month temporary assignment in Kabul, Afghanistan. I’m inspired by your honest account! Well done to the men and women committed to building a more peaceful Afghanistan, especially for women to thrive and be equal contributors in the society.